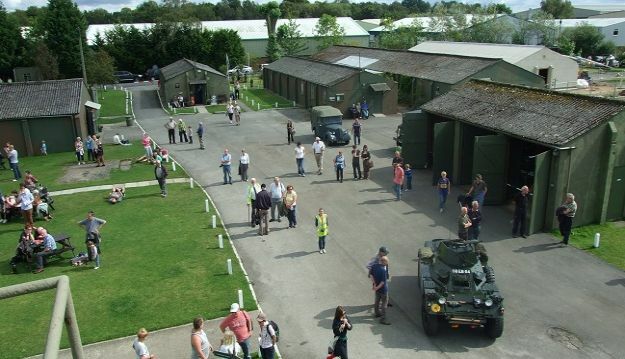 Experience the tremendous atmosphere of the award-winning Yorkshire Air Museum & Allied Air Forces Memorial whilst admiring fascinating displays, such as the superb Bomber Command exhibition, restored Control Tower, Air Gunners Room, Archives & Uniform Displays, Airborne Forces Display, Squadron Memorial Rooms and much more. Our attractive Memorial Gardens offer a tranquil place to reflect on those who gave their lives in defence of the nation. The superb ‘Pioneers of Aviation’ exhibition features the work of famous figures from the aviation world who had Yorkshire connections, including Sir George Cayley, Robert Blackburn, Amy Johnson and Sir Barnes Wallis. See Yorkshire’s pioneering Cayley Glider along with the Wright Flyer, unique Halifax Bomber, fighters made famous in the Battle of Britain such as the Hawker Hurricane and Supermarine Spitfire, Mosquito Nightfighter and modern jets such as the Mirage III and Tornado GR4 taking us into the supersonic age! We now have 7 live jet and propeller aircraft within the collection, from WWI fighters to the WWII Douglas Dakota and the mighty jets with the Yorkshire built Blackburn Buccaneer and Nimrod MR2 and Victor V-bomber, which all take part in our exciting “Thunder Days” and other events. 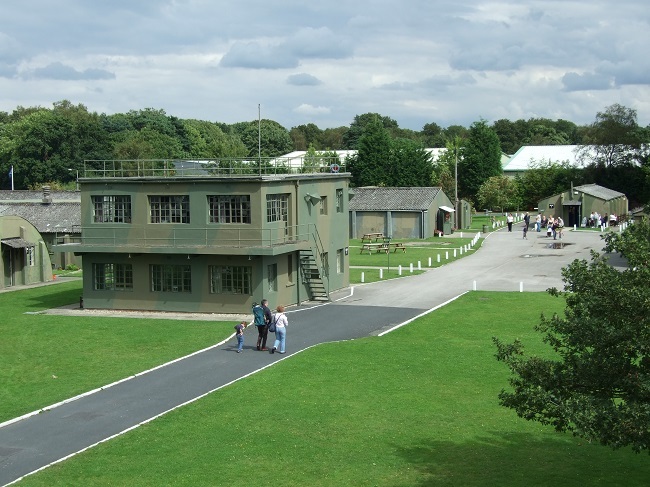 The excellent cafe provides hot and cold meals, snacks and refreshments in an atmospheric setting, reminiscent of a war-time ‘NAAFI’ – the perfect place to take a break during your visit. Open Daily: 10.00am – 5.00pm Summer Time. 10.00am – 4.00pm Winter Time. £8 Adult, £6 Concessions (Senior Citizens, Serving Forces personnel and Students) and £4 Children. Under 5′s free. Reduced Rates for Groups of 8 or more: £5 Adults, £3.00 Children. Schools: £3.00 per child, (I Free Adult per 10 pupils / cadets. Car Clubs: £6 per vehicle (to include driver and 1 passenger FOC. Other passengers at Group Rate. Some events charged at different rates. Little known fact: Yorkshire is the birthplace of aviation with Sir George Cayley’s man carrying glider of 1853.